Last night I had absolutely no clue what to make for dinner. It was the first day of MoFo and I knew I'd have to come up with something to post today and all there was, that looked promising, was some cooked potatoes. 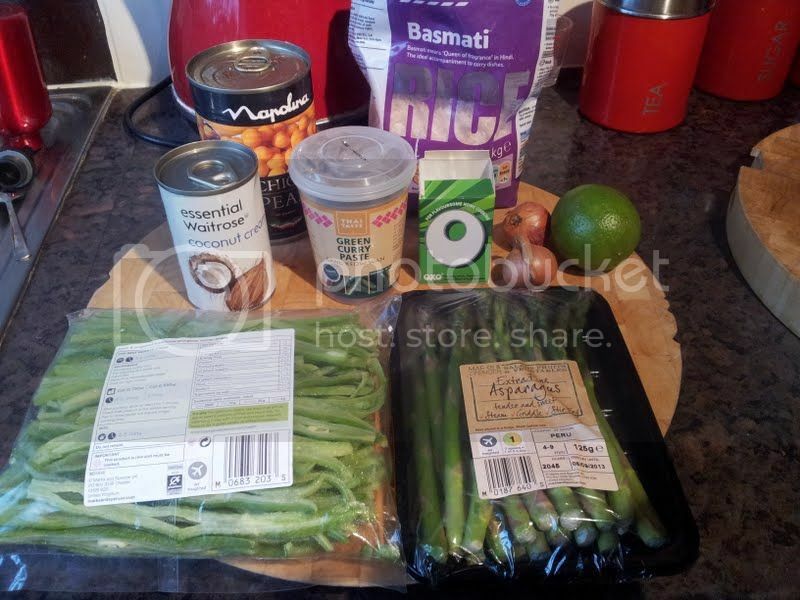 ... and decided to make a green Thai curry. Also included, but not pictured above, was half a block of tofu and the aforementioned cooked potatoes. It was pretty good and I took leftovers in my thermos to site with me today for lunch so I didn't have to buy something skanky at ExCeL. Win! I have no idea what I'm gonna get in my hotel tonight, so tomorrow's post maybe be pretty sad, but at least it might be amusing. Nice! Now you made me hungry for asparagus. Good luck finding something tasty to eat tonight! Mega win, that's one less day of hummus babe! 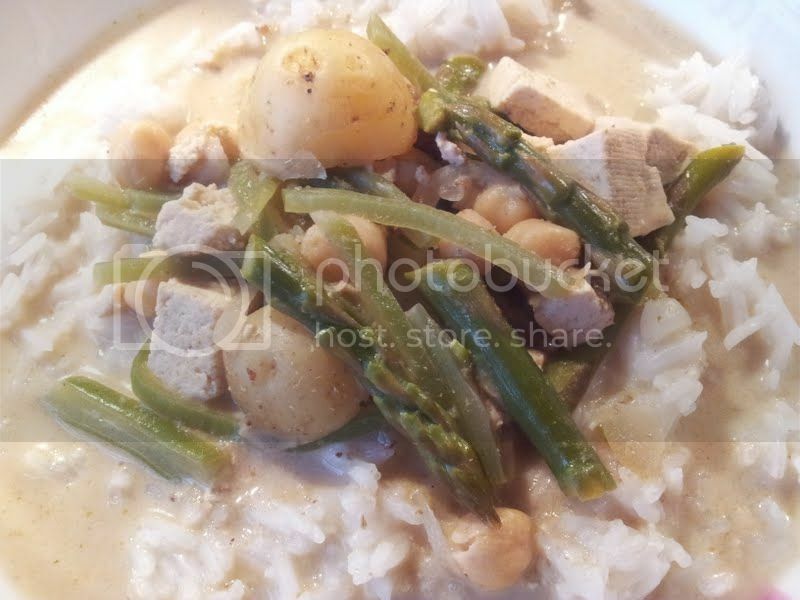 I always forget about making curry at home, but this looks so coconutty and creamy - I want! I hope you get something good for dinner.